Louis Renault, one of the great and deservedly famous pioneers of the motor car, established Renault Freres Ltd. at Billancourt in Paris, France in 1898. Early Renaults were strong contenders in the inner-city races, then fashionable. 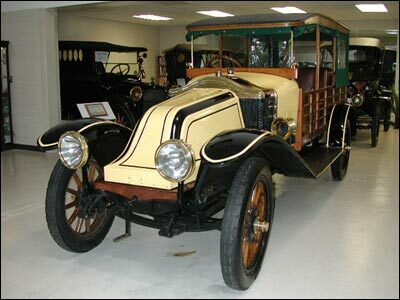 Renaults came in first in Paris to Ostend – Paris to Bordeau -Paris to Toulouse – and Paris to Berlin events of the early 1900’s. The car on display is a four cylinder, side valve Renault. The cylinders are cast in pairs in its 40 horsepower engine. It has a high tension Magnito ignition system and it cooled by Thermo-Syphon circulation of water through a huge radiator, which is scuttle mounted behind the bonnet or hood. There were good reasons for doing it this way; it enabled the header tank to be higher than the engine without impairing either the driver’s view or the airflow over the sloping nose. The large water capacity radiator provided an uncommonly reliable cooling system. 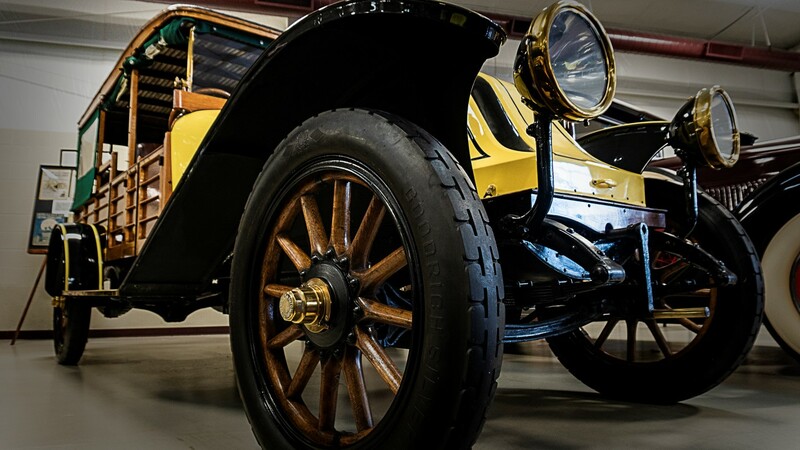 His 1914 Renault was rebodied and restored by John Stinger of Louisville, KY.